Angela Stokes received her Master of Science in health promotion management from the American University in Washington, D.C., focusing her studies on health policy and corporate health, including prevention and wellness. Stokes also holds a Bachelor of Science in human resources management with a minor in economics. Cortisol is a hormone made by the body to help it handle stress. It has also been linked to weight gain due to its ability to increase your insulin and appetite as the body prepares for a "fight or flight" response. Additionally, stress-induced weight gain usually occurs at the waistline because the fat cells there are more sensitive to cortisol. According to Project Aware, this is the most dangerous place to gain weight as it is more likely to lead to metabolic syndrome, heart disease and diabetes. To decrease your body's cortisol levels and begin losing weight, you'll first need to manage and decrease your stress levels. Watch for signs of stress. Signs of stress might include anxiety, muscle tension or irritability. Recognizing signs that you are becoming stressed will help you understand your typical reactions to the stress so that you can take steps to relieve it. Look for triggers to emotional eating. Emotional eating is one of the biggest barriers to losing stress weight, and recognizing when you are eating emotionally is the first step in taking control. 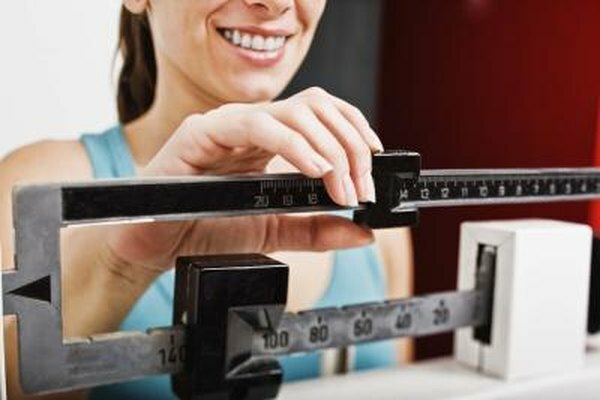 Events that can trigger negative emotions and disrupt your weight-loss progress can include finances, health problems, unemployment, bad weather, job stress or relationship conflicts. Start an exercise routine. Because food is typically used as a distraction from stress, replacing eating with exercise will help you lose weight while decreasing stress. Regular physical activity, along with relaxation techniques such as yoga, massage or meditation, will help your body and mind. Get adequate sleep. Failing to get enough sleep slows your metabolism, decreasing the calories you'll burn each day. Aim to sleep for at least eight hours each night, if possible. Additionally, getting a solid night's sleep will help you wake up more relaxed and less stressed. Get encouragement from friends and family. Whether they join you in your exercise program or are just there to talk, support is crucial in losing weight and managing stress. Don't skip meals, especially breakfast. Eating several smaller meals each day will boost your metabolism and keep you full, while helping you avoid binges that can lead to weight gain. What Do Ankle Weights Do? What Exercises Should I Do at the Gym? Why Can't I Lose My Belly Fat Despite the Exercise?